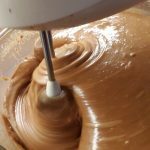 Another tray bake recipe, and one that is so popular that the results of the efforts disappear very quickly! 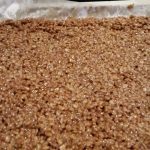 In fact the last time I made a batch of mars bar rice krispie squares, I had put myself on a strict diet, so I wasn’t even able to taste the results. I’m starting to think after last night, that was probably a sensible thing! Anyway, I’ll just have to take myself off for a walk up a mountain. 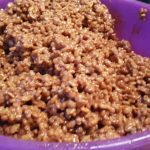 Ah, the joys of Mars Bar Rice Krispie Squares! 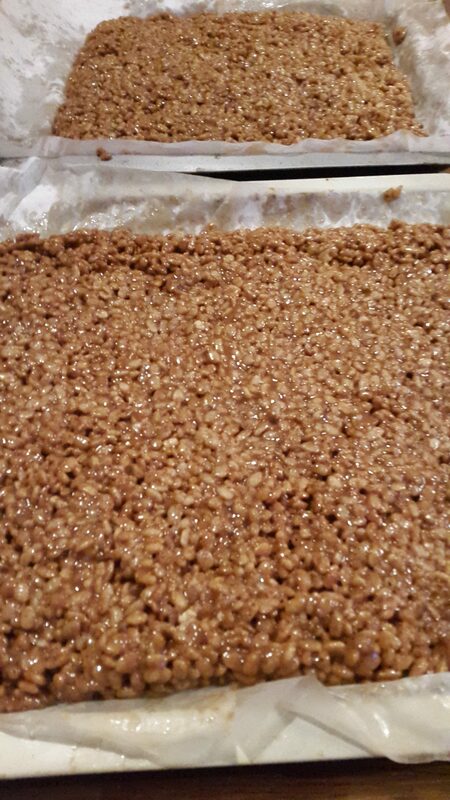 I should really refer to these as Choco Caramel Bar Rice Snaps squares, as I buy my ingredients from Lidl, but I digress. First things first, the hardest task is unwrapping all those fiddly mars bars. Get that done, chop them up roughly, and put them into a glass bowl. Plop the butter divided up into smallish lumps in on top. Throw into the microwave until it has got a softened look about it (it’s hard to tell for how long, just don’t burn in!). 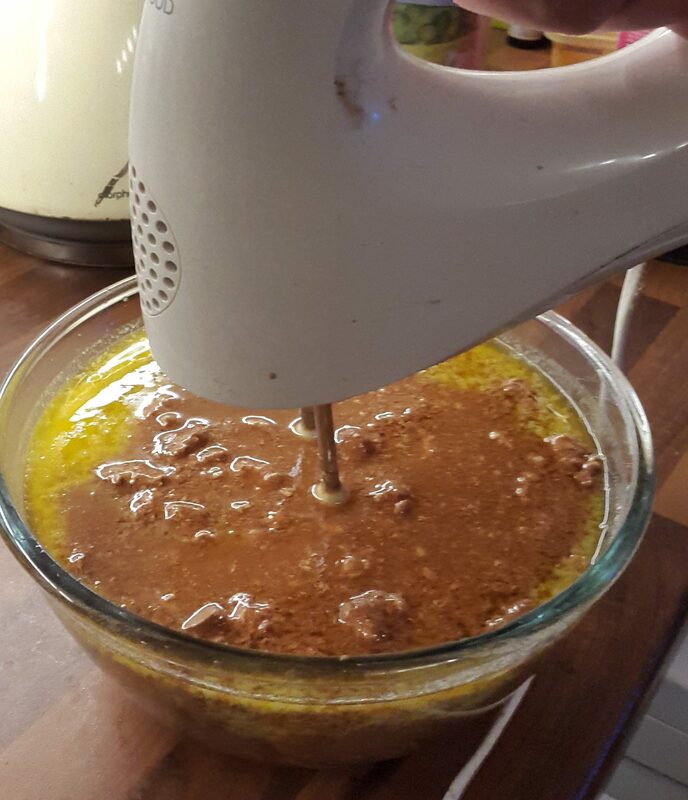 Next thing, you want to combine the butter and the mars bars. 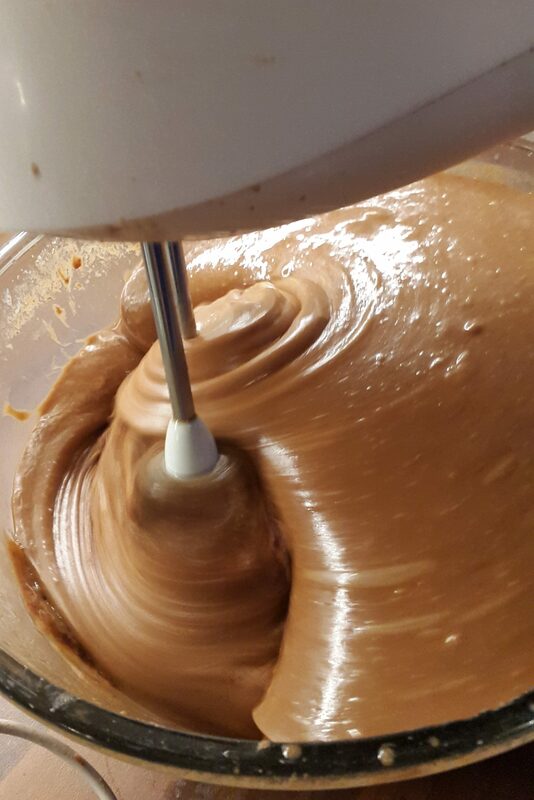 I have found that electric beaters do this job fantastically, although it is possible just to stir it with a spoon. 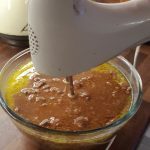 The most important thing is that the butter and mars bars combine into a smooth mixture, I’ve added some photos to demonstrate this. 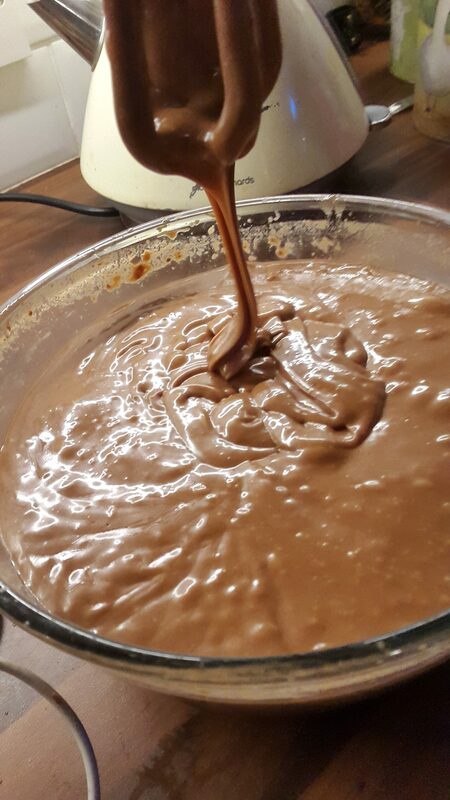 Once that is complete, you might like to taste the mixture to ensure it is all going in the right direction! 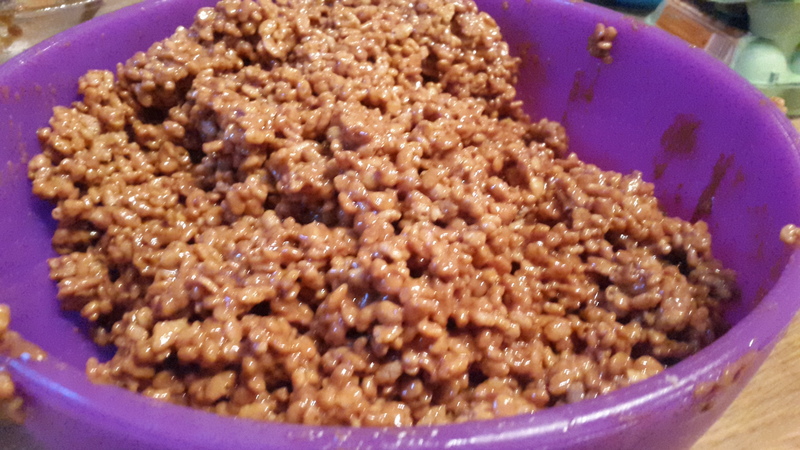 Then pour your rice krispies in with the melted mixture. 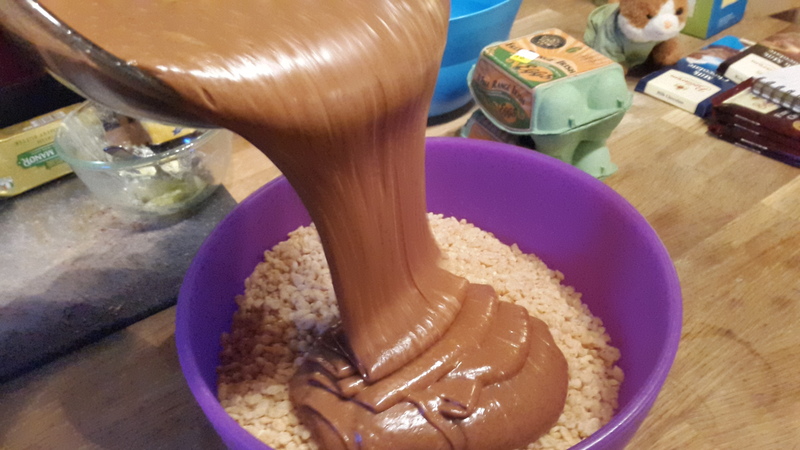 If you are like me, and making a big batch, you might want to have the rice krispies in a very large mixing bowl and pour the chocolate goop in on top. Then stir. 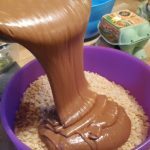 Until all the rice krispies are covered in goodness. Plop them out onto a tray, I tend to line my trays with some baking sheets just to make it easier to divide later. 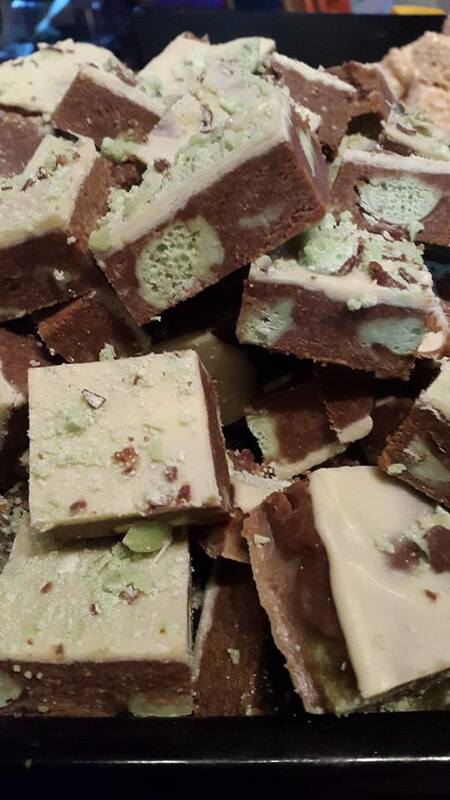 You can then mould them to the size that you like your squares to be at, and flatten on top. 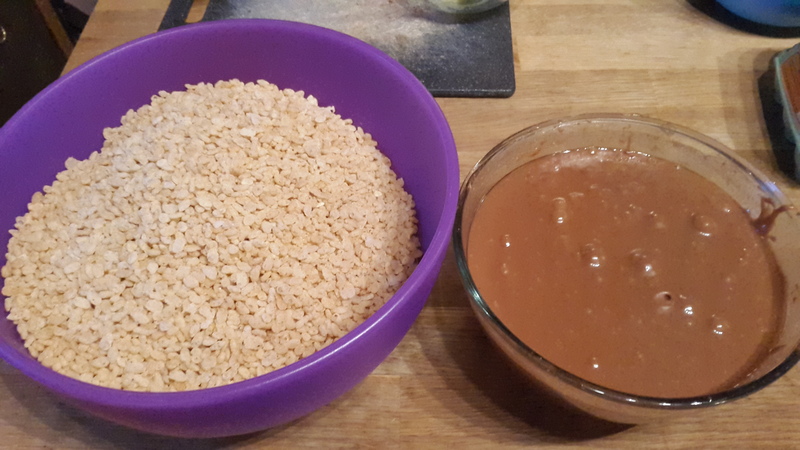 For the mixing and the flattening, slightly damp hands will help to prevent the caramel sticking to you. 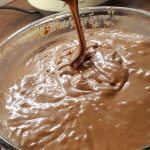 For the finishing touch, melt the milk chocolate in the microwave and pour over the masterpiece. Leave to set. 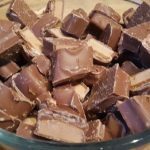 Slice all the crooked edges off so that it looks nice, and chomp away at the bits you cut off as these don’t contain any calories. 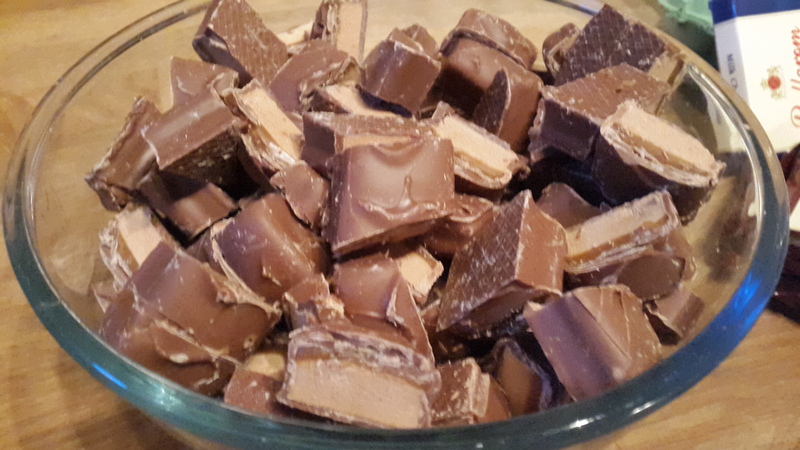 Chop up your mars bars, makes it easier to melt and mix them. 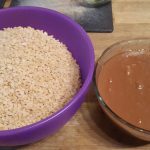 If making a big batch, a larger mixing bowl will help.